Cycling the puck is a part of the game that needs to be learned and understood by all players. It’s not just enough to know how to cycle the puck, you also need to know why you are cycling the puck. Too many players just want to rush to the net and go through or around defensive players instead of using the open ice to create seams and space by cycling. 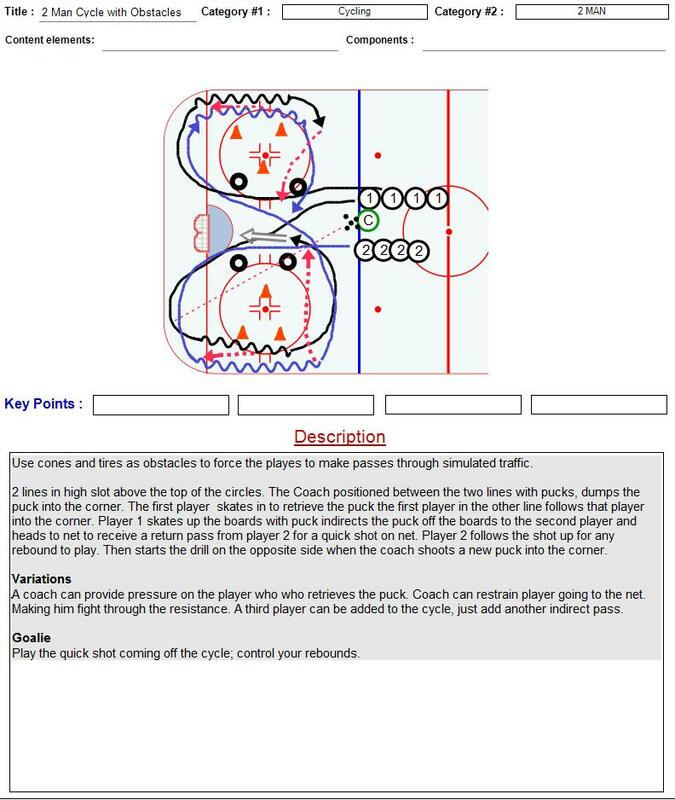 Below are a series of drills that you can use to help your players learn how to cycle the puck and maybe more importantly they can learn why it is such an important concept in today’s game. Twenty five years ago before cycling became such a normal part of the game players just worked to the front of the net and tried to get shots. Back then goaltenders had much smaller equipment and the butterfly barely existed. Now the game has progressed to the point where it is harder to score and thus more important to work for a good scoring chance and that is where cycling can pay big dividends. 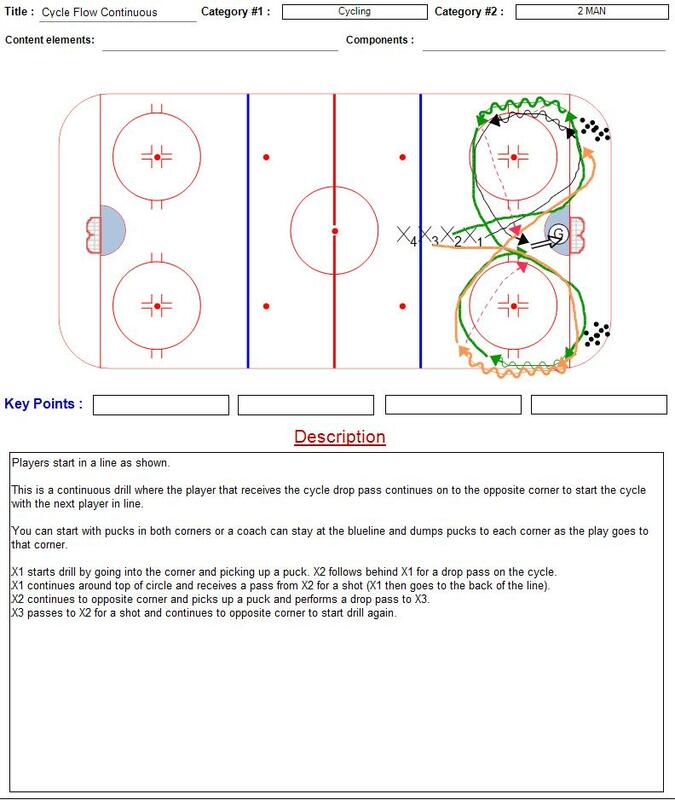 I hope that the following drills can give you a good fundamental way to teach your players the art of cycling the puck. 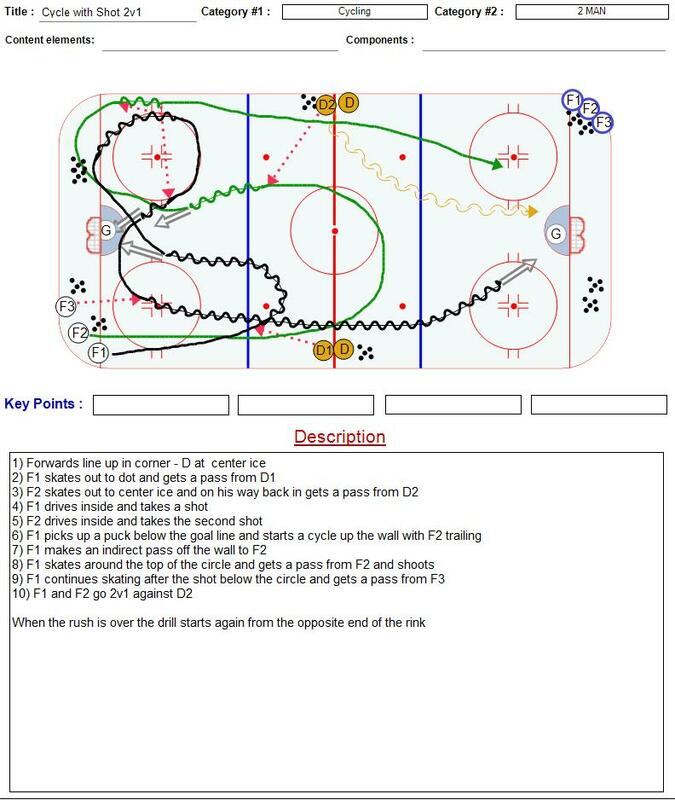 The first set of drills contain 10 drills that progress through the theory of cycling and build on each other to help your players learn the concepts of a good cycle as well as learn how to read the defense to make sure the cycle is the right play.